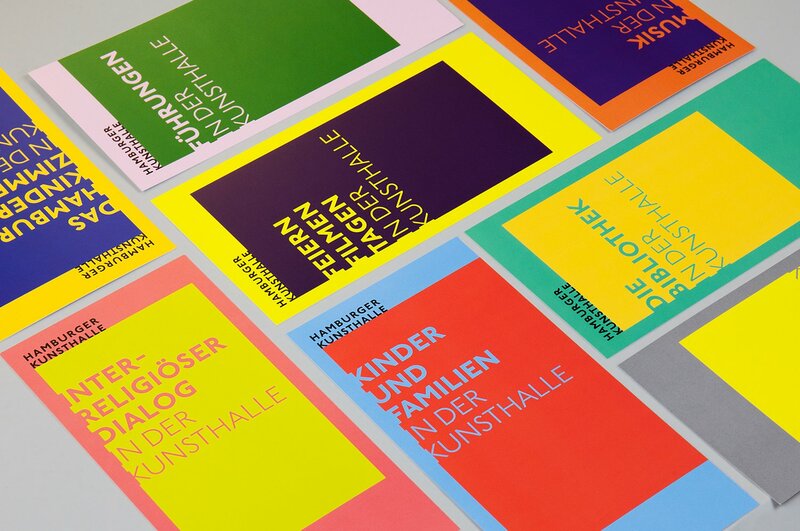 Hamburger Kunsthalle: From Construction Sign to New Corporate Design. 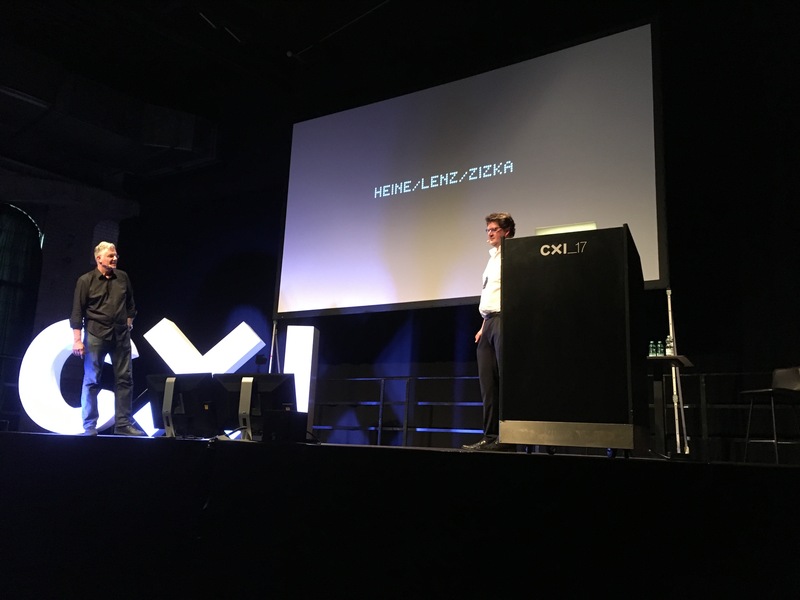 Heine/Lenz/Zizka at CXI, a veritable classic. 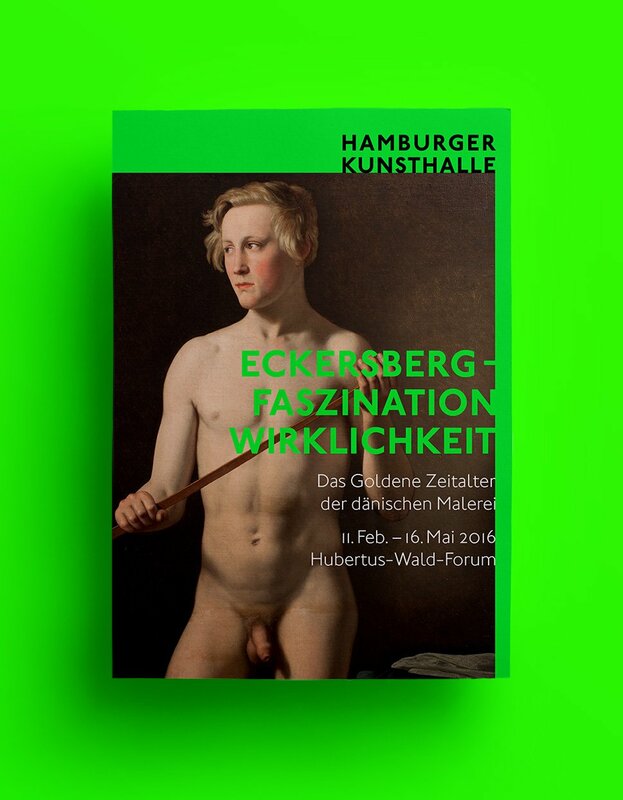 This year together with a long-term client, the Hamburger Kunsthalle. In 2014, the dilapidated state of its premises forced the museum to close two of its three buildings for lengthy remodeling. Their plan was to keep the remaining building open and operating; quite a challenge, as the construction site vis-à-vis the central station seemed too dominant, discouraging any possible visitors. 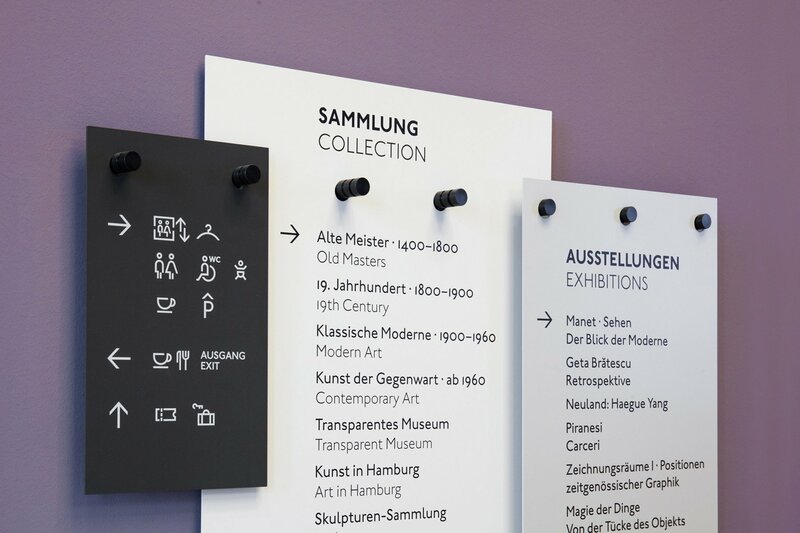 The museum’s request was to let every­body know that the Kun­sthalle would remain open dur­ing the con­struc­tion peri­od, and to guide vis­i­tors to an inter­im entrance. 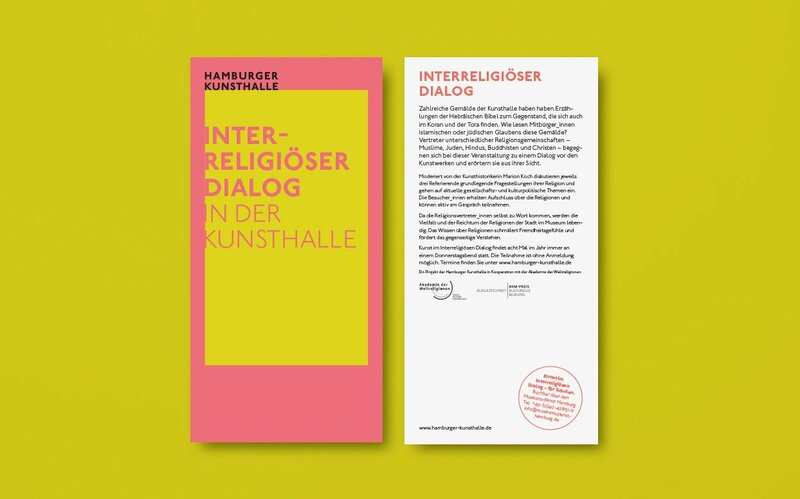 “Grab their atten­tion”, this was the core of the brief­ing, and it was also the inch Achim Heine grabbed and turned it into an ell, trans­form­ing a small request into a major project: a 360°-campaign includ­ing inter­im cor­po­rate design. “This agency nev­er sticks to brief­in­gs,” a smil­ing Jan Met­zler, Head of Com­mu­ni­ca­tion and Mar­ket­ing, explained. Sev­er­al addi­tion­al flaws of the Kunsthalle’s pre­sen­ta­tion were iden­ti­fied dur­ing a work­shop, as the team took a close look at the institution’s his­to­ry and cur­rent sit­u­a­tion. The muse­um was found­ed in 1869 by Ham­burg cit­i­zens, and is one of Germany’s most pop­u­lar art muse­ums. Its depot includes one the most impor­tant art col­lec­tions; both of which facts were not com­mu­ni­cat­ed at all. An inter­im solu­tion was nec­es­sary. The con­struc­tion-site-theme was exag­ger­at­ed to the max, even turn­ing the Ham­burg­er Kun­sthalle (art hall) into Ham­burg­er Kun­st­baustelle (art con­struc­tion site). A large round yel­low stick­er with dot­ted let­ter­ing was stuck on all already-placed infor­ma­tion signs, so that they could still be used. And on the out­side, giant ver­sions of the flashy yel­low cir­cle were past­ed on the build­ing site fence, guid­ing vis­i­tors to the makeshift entrance. This design ele­ment was con­sis­tent­ly used in all media. The cur­rent state of con­struc­tion was com­mu­ni­cat­ed via microsite. The mot­to “Weit­er Offen” (still open) was fol­lowed up and devel­oped upon: “Weit­er staunen” (keep on being amazed)”, “Weit­er träu­men” (keep on dream­ing), all the way to “Weit­er feiern” (keep on cel­e­brat­ing) on a Christ­mas card. The exhi­bi­tion titled “Spot on” was cre­at­ed while con­struc­tion was still going on and used the inter­im cor­po­rate design with stick­er-seg­ment; using a spot­light theme to high­light spe­cials mas­ter­works. The dot­ted let­ter­ing was turned into a font, mak­ing it much eas­i­er to apply. “The feel­ing is actu­al­ly that the Kun­sthalle is more open when it’s closed”, as Jan Met­zler quot­ed a staff mem­ber as say­ing. The site fence was also used for plac­ing polit­i­cal state­ments, i.e. against a Nazi-demon­stra­tion, or for free wel­come-tick­ets to be passed out to refugees arriv­ing in Ham­burg; Ham­burg res­i­dents were more than hap­py to use this oppor­tu­ni­ty for state­ments of their own. An ini­tial­ly unknown artist reclaimed the con­struc­tion sign for art, by paint­ing the let­ter H in front of “Offen” (open), turn­ing it into “Hof­fen” (hope). Elis­a­beth Rich­now lat­er out­ed her­self as the orig­i­na­tor. Social media was anoth­er impor­tant point on the agen­da. Once a week the agency sent a staff mem­ber from Berlin to Ham­burg to com­mu­ni­cate what­ev­er there was on social media chan­nels. Get­ting into the top ten Face­book pages of cul­tur­al insti­tu­tions was quite a feat! A con­struc­tion-site-blog did not real­ly work, obvi­ous­ly there is also such a thing as infor­ma­tion overkill. One of the many things the muse­um learned on the way. In hind­sight, the col­or yel­low was dif­fi­cult, not only because of its asso­ci­a­tion with a Ger­man polit­i­cal par­ty. “Our back­ground is real­ly deep Hanseat­ic blue,” Jan Met­zler empha­sizes. Anoth­er no-go: Hamburg’s Alster-ordi­nance pro­hibits all adver­tis­ing along the banks of the riv­er Alster. The agency deft­ly over­came nego­ti­at­ed all obsta­cles: the museum’s man­age­ment agreed to give the usu­al col­or a try, and the munic­i­pal admin­is­tra­tion accept­ed a wide­ly vis­i­ble “Still open” as art instal­la­tion, rather than adver­tis­ing. 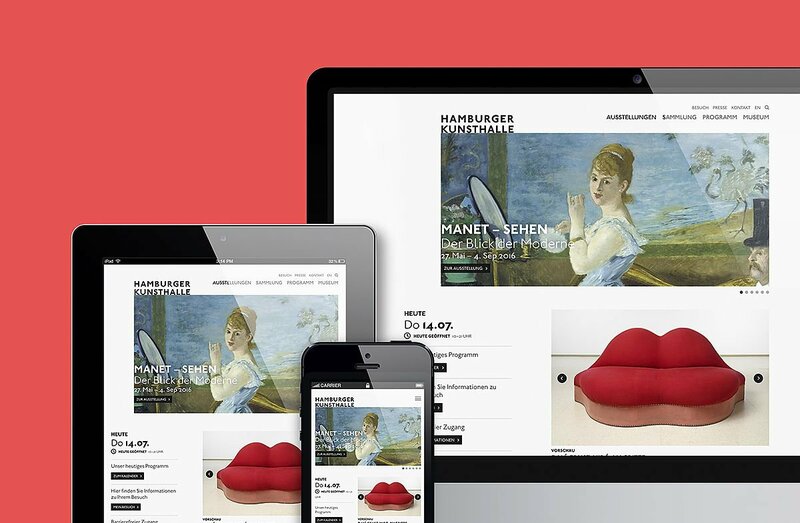 And there were even more changes: the slight­ly staid design with cen­tral axis was aban­doned; a new word mark and a lay­out-sys­tem mak­ing it much eas­i­er to inte­grate images and col­or fields pro­vid­ed new pizazz to the Kunsthalle’s appear­ance. The very charis­mat­ic word mark – bold, ver­sal in ITC John­son – sits on top of the (image) field. Head­lines fol­low the same prin­ci­ple, they bleed and touch edges, even exceed­ing the for­mat. Lots of white space allows images to star, and leaves lots of room for per­fect­ly posi­tioned infor­ma­tion. The col­or con­cept is not lim­it­ed to Pan­tone-num­bers, mak­ing it pos­si­ble to select just the right shade for any exhi­bi­tion. Heine/Lenz/Zizka designed a new visu­al iden­ti­ty, all the way to the sig­nage sys­tem, that is iden­ti­fi­able even when it is used as mod­ules. “We‘ve got a great new logo, and we should use it for our re-open­ing cam­paign!” – Jan Met­zler. The agency con­vinced him to drop the idea.